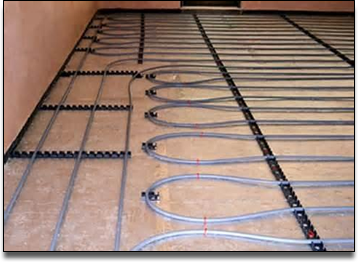 In Screed heating is for use in floors which require the element to be installed before the screed is applied. The element is openly installed onto the slab structure before the screed is applied. This can be done for floors which require vinyl, glue type carpet or CEMCRETE surface. This is commonly used in hospitals, animal clinics, retile farms, nursery and chicken farms etc. 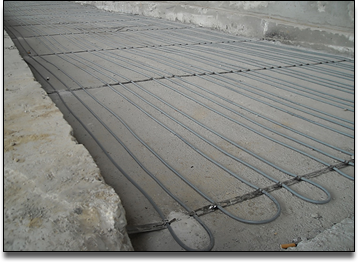 In screed heating has a disadvantage in its heating process as it takes considerably more time to heat up. This is however balanced by the cooling down period. 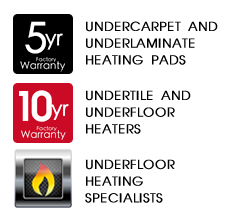 It can be turned off hours before and still maintain heat for a substantial period.